On New Year’s Eve, Shaggy 2 Dope and Ouija Macc will be in Lakewoood, Ohio (basically the outskirts of Cleveland, don’t get technical here). Zigwap and A-LOW Rx will also be at the show. The venue is The Foundry and tickets are $20 advanced, $25 day of show. The only catch is that The Foundry is not a huge venue, the cap is roughly 300 or 400, so tickets may go fast. That’s sick! Solo Shaggy always put’s it down! Lakewood is a lot like Cleveland, only way better. I hope I have a chance to go! 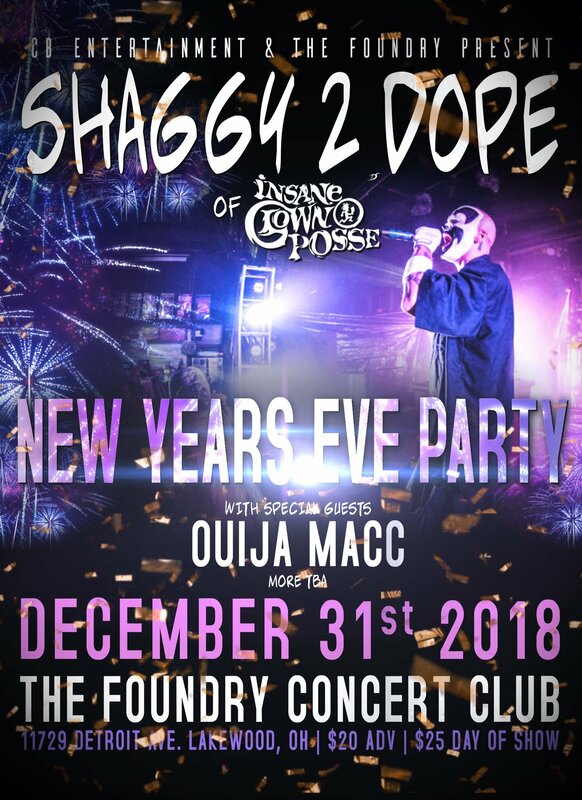 According to the VIP update, not only is there a Violent J solo album, but a new Shaggy 2 Dope album available in VIP as well. So violent js cd is “available only with vip” is shaggy’s doesn’t say that, does that mean it’ll be for sale after the tour?